I was sometimes allowed to stay up past my bedtime to watch this show. I would grab a pillow and a blanket and lay on the living room floor. And I would fall asleep, every time. So I think I should watch them again and see if they would have been worth fighting the sandman. Could be the greatest theme show intro ever, just when Isaac Washington points right at you. I would always give the two handed point back…so did you. I liked this show when it was on, and I never really thought about it again. 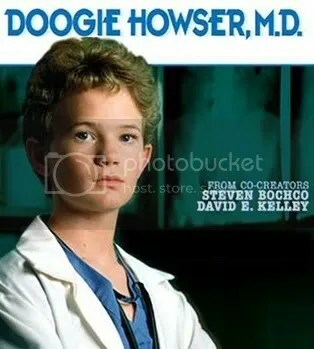 But the best part was at the end of the day, little Doogie, would whip out the computer diary page and let us know his inner most secrets. Thanks Neil Patrick Harris. Thanks even more for Purple People Eater. 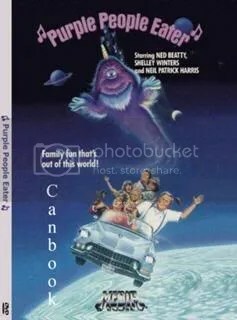 It’s a tv show with Chris Elliot (boo) and it takes place in my current home, St Paul, (yay) I actually remember watching this show during it’s original and very short run. 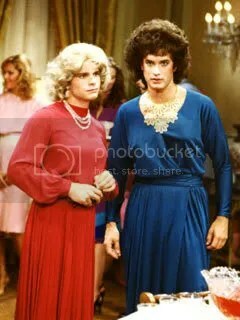 My mom never let us watch much of this being that there were cross dressers in it. I think she missed the point. I don’t think they could get away with a show about a man in love with his gun today. Which is why this is the next series on my list to buy. I cannot believe I would watch the crap out of this show when I was 7. I had a great sense of humor at an early age apparently. This entry was posted in Blogroll, Life, movies, television and tagged 1980s TV, Bosom Buddies, Chicken Kickers, Doogie Howser MD, DVD, Get a Life, Isaac Washington, lists, Love Boat, Magnum Pi, Mypos, Neil Patrick Harris, Perfect Strangers, Sledge Hammer, Tom Selleck. Bookmark the permalink. I too am a “watch it on DVD” girl when it comes to television shows: Prison Break, Lost, Heroes, Stargate (my newest addiction)…I’ve come to love them all after the fact, by renting the DVDs. And Magnum P.I? LOVED that show growing up…had no idea it was out on DVD. Now I know what’s next in my NetFlix queue…. DVD is the greatest thing to happen to television…I’m glad I could convert you. I’m a little sad “Perfect Strangers” only gets #2 though! “Sledge Hammer” ahead of Balki! Ummm…did “Sledge Hammer” last for EIGHT SEASONS! No…I didn’t think so. 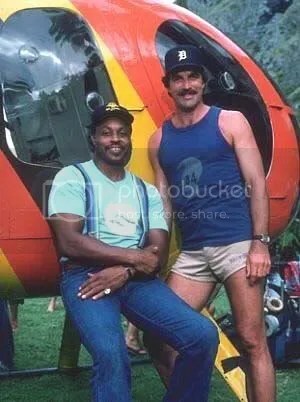 Incidentally, “Magnum P.I.” has the second best opening credits sequence, after “Perfect Strangers” including a delicious shot of Tom Selleck SLAM DUNKING A BASKETBALL! This post has FIVE EXCLAMATION POINTS! Sledge hammer should’ve lasted longer. Sledge Hammer was my favorite! 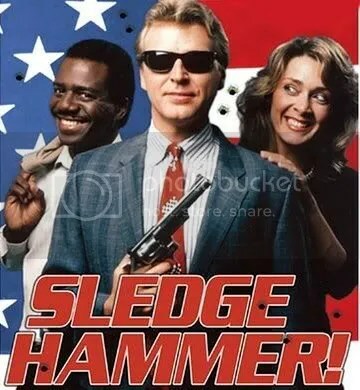 I swear you are the only person I know who remembers Sledge Hammer! I try to bring it up at times with random people only to get weird looks and head shakes. Then I get caustic. Sorry I have been a stranger. and not a perfect one. Hoo haha! Nw, Dood. I remember SledgeHammer. I also remember thinking that fella was OFF. And I was like… five? That show actually creeped me out a bit. The Gun on that silk pillow, with the engraved handle in the opening sequence- I remember THAT like the back of my hand- followed shortly by “What are you doing? GO TO BED!” and a swift swat on the derierre. Kitty- Yeah, it was off. But I think that’s why I have such a desire to watch it again. All I know from that list are Doogie Howser and Magnum P.I., both great shows. I saw a lot of old shows in my childhood…mostly on reruns (like Columbo, Murder She Wrote, Air Wolf, Macguyver, Knight Rider, etc). I was pretty retro…so I was painfully out of touch with kids when they would talk about the latest Power Rangers episodes and stuff. But many of these shows are too retro for me. I do remember watching parts of the occasional Love Boat rerun…and quickly switching back to Knight Rider or something.